Minutes Samples and meeting are the most interrelated words and are inseparable. Minutes capture the meeting in terms of the attendees, what was discussed in the meeting, and the action points. Are you a sentenceologist? Don’t get scared. If you are good at taking notes and framing it nicely, then our minutes templates are for you. Are your worrying about your meetings not yielding any reults and remains unproductive? Then probably the problem would be with tapping the points discussed in the meeting. Our meeting minutes templates are so tailor made to make a running notes including the outline, who said what, and what has to be done. They works as a perfect checklist. The objective of School Meeting Minutes is to rectify the issues associated with and within the school. This sometimes could be inter and intra. For example: if the school is having multiple branches, the school meeting minutes discusses the issues related to other branches and at the same time the necessary reformations about that particular branch. 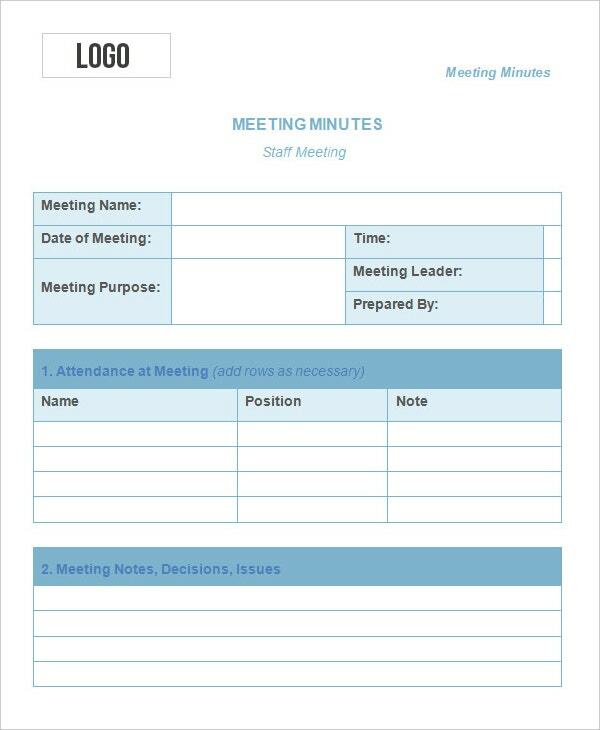 Our School Meeting Minutes Templates are the quick and ideal way to make school meeting minutes. Are you a socialite? How many clubs are you in? 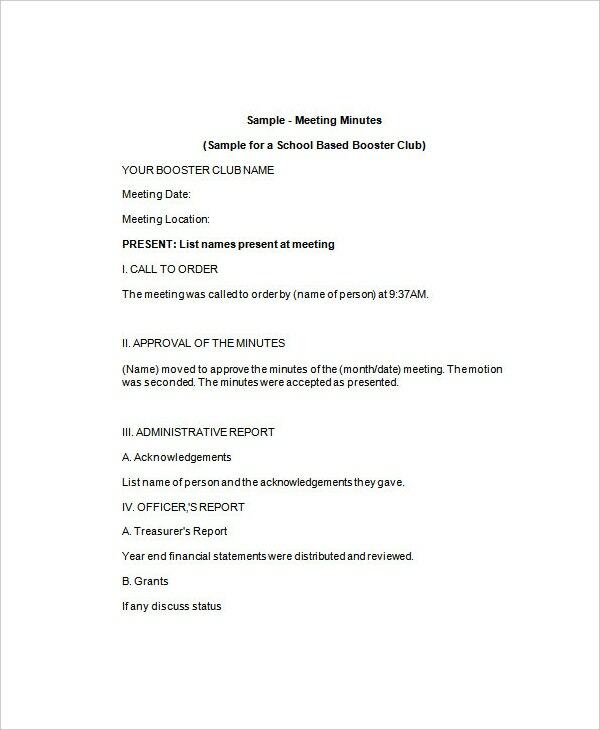 Our Club Meeting Minutes Templates allow you to take a quick note of your club meetings. 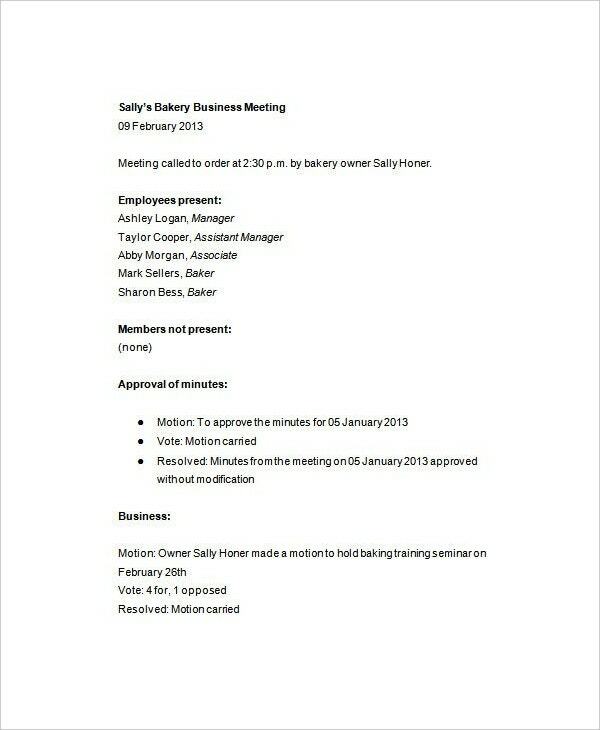 Irrespective of the attendees, our club meeting minutes templates record the meeting points. They can be used in all clubs from international level to local. Committees are being appointed to deal with special issues. Sometimes the issues could be sensitive and critical. 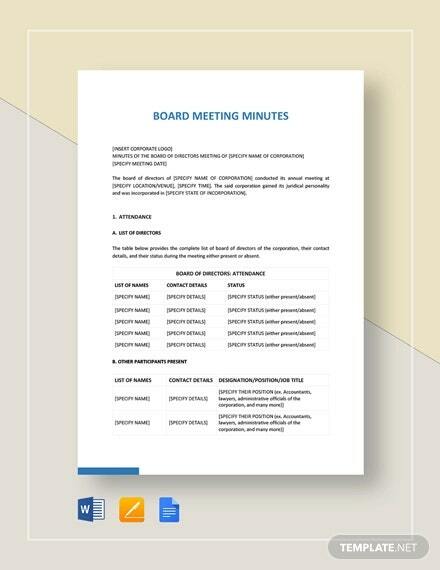 We are so happy to announce that our editable committee meeting minutes templates greatly reduce your ground work and the time you invest for that. They can tap meetings for all commitee related meetings, no matter how sensitive and complicated they are. Staff Meetings could be having any number of objectives ranging from internal issues to acceleration and streamlining of staff or they could be for operational issues. Whatever is the reason, our staff meeting minutes templates fish all the issues discussed and preserve them for future preferences. 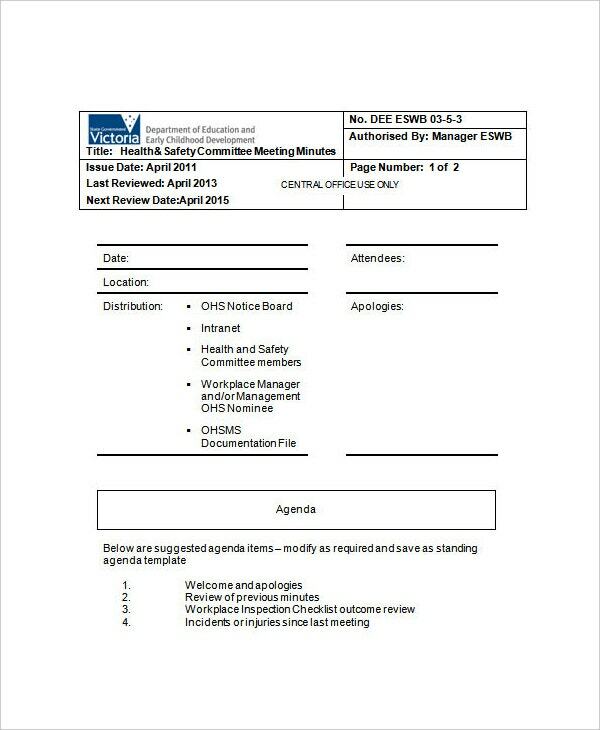 You can acces our staff meeting minutes templates on any device. Business meetings entail all the delegatory issues. In order to make minutes for such business meetings, you have to grab the high-level picture and put the same on the paper in a fraction of seconds. 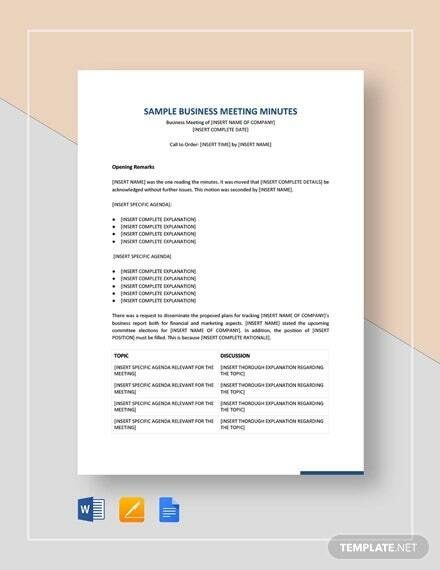 Our Business Meeting Minutes Template will help you in this task. You can download the copy, make the edits, and get a print-out of this. Meetings play a key, vital, and pivotal roles in any project. They help to track whether the project is going as per the agreed timelines or is it delayed any. 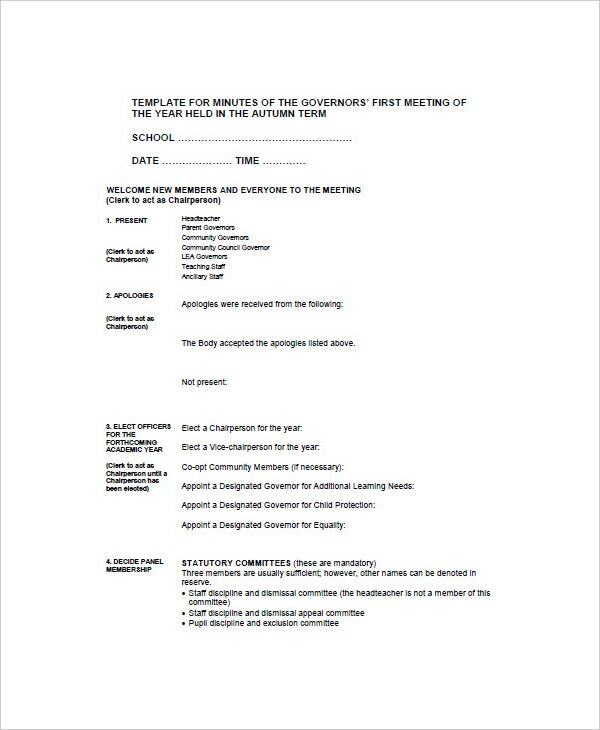 Project Meeting Minutes Templates are helpful throughout the project. However, without minutes the projects go nowhere. 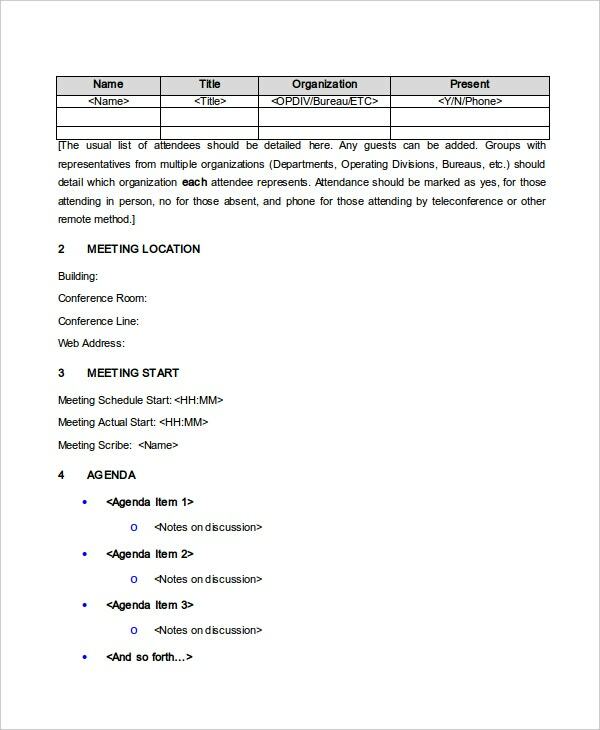 Our project meeting minutes template will be helpful for kinds of projects. Download one for your proejct. Use it once and experience the difference. Construction is an industry worth crores and millions. 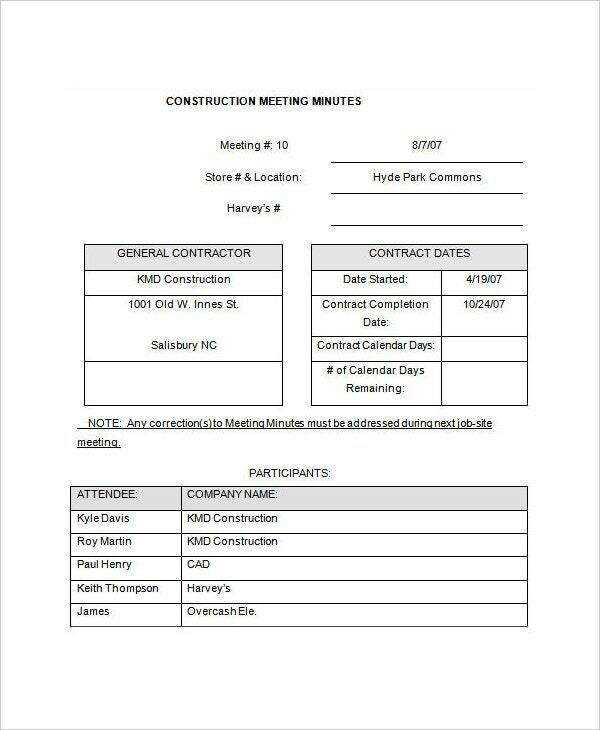 Are your construction meetings going haywire because of inconsistent minutes? Stop preparing the templates in the last minute or noting them on various scribble pads. 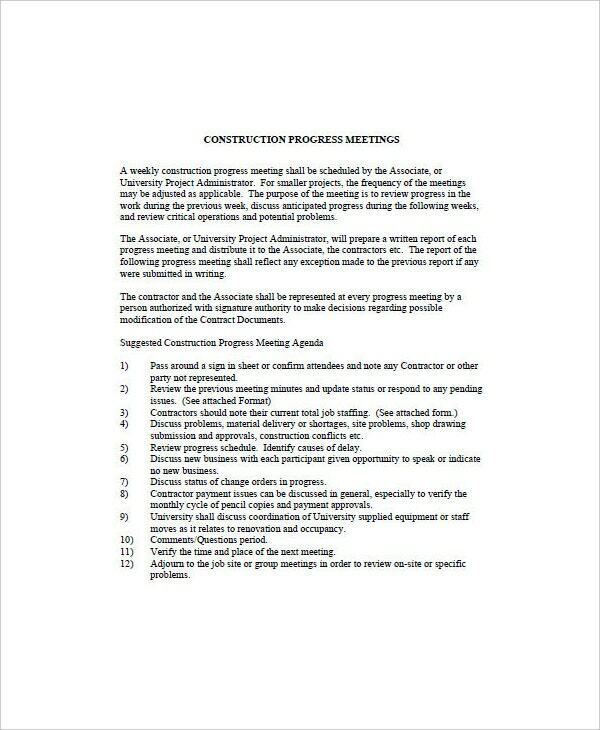 Our construction meeting minutes templates are just fantastic. The conference makes you prepared and our construction meeting minutes templates makes you ready for the conference. Board Meetings are top level meetings for any organization. 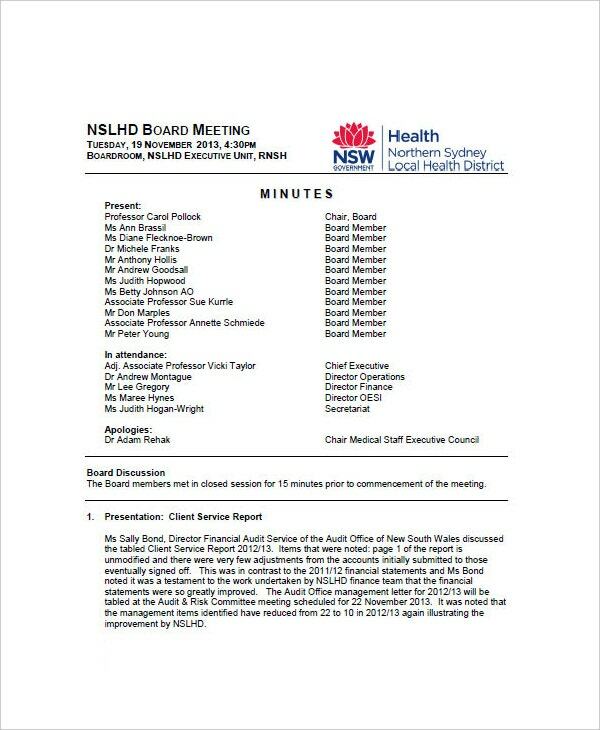 Because those who participate in board meetings are decision makers. Hence chances are more for board meetings to influence and impact the organization directly. 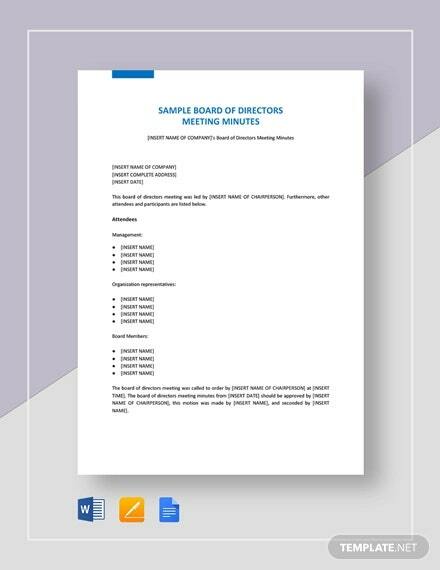 Our Board Meeting Minutes Templates are so spacious to record the minutes even in the most enhanced manner. Free is not always good. However, you can’t decide that without checking. Our Free Meeting Minutes Templates nullify your opinion of free as undervalued. With the whole format and design of the meeting minutes templates being supervised by us, you will be left out with ample time-frame. So that you can attend the meetings stress-free. 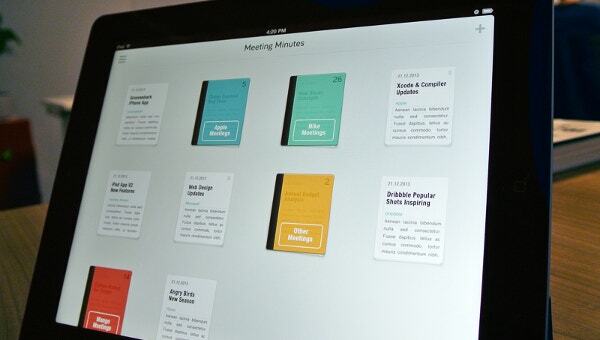 > How to create a Meeting Minutes Template? The way taking minutes changed it was some 10-20 years ago. However, the minute taker is the man of the hour for any meeting. Whether or not he/she takes part of the meeting, the minute-taker remains vital. 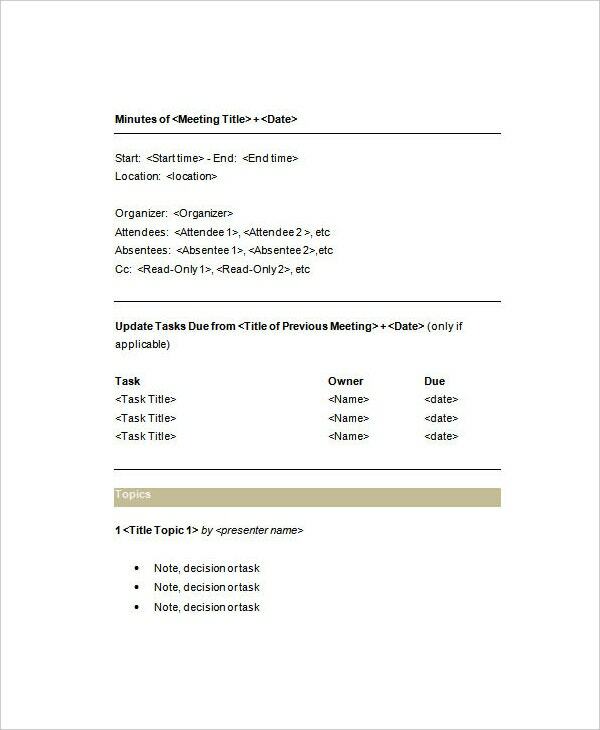 To create a Meeting Minutes Template, put the basic details on paper first such as the meeting agenda, objective, time, date, venue, and the possible attendees. Then improvise the rough draft as per the level of the meeting. 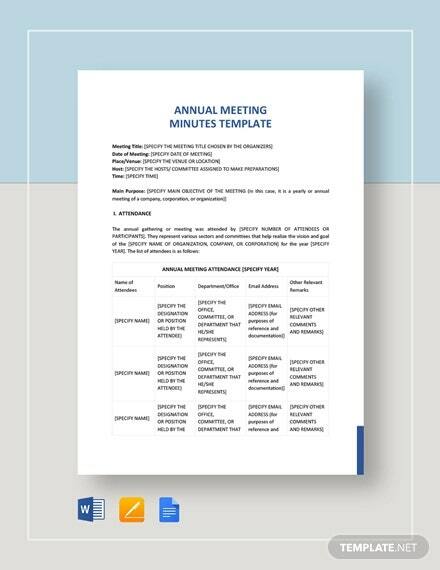 Meeting Minute template is a one-time work that saves hours of your rotten work. It saves your credibility from depending on half-torn scribbling pads and A4 white papers. Now with the digital versions of meeting minutes templates, chances of missing your document are sparse. Better get used to it. Once everything lies in place, your minutes taking will be a cake walk. Write whatever is needed. Making an unnecessary introduction and the lengthy descriptions, which will not add any value to the document should be eschewed. If you are well-versed with shorthand, don’t hesitate to use it. Prepare your template as per that. Don’t add emoticons or any other Bingo to the template. It affects the professionalism. If you prefer handwritten document, better to use pencil rather than a pen. Also keep improving your template for every meeting. This practice reduces the mistakes you have committed in your previous meetings. Meetings are purposeful activities. Every meeting will have an agenda and objective. No matter how effective your minutes of the meeting template would be, your presence of mind, spontaneity, and agileness makes you as a winner in the meetings. Remember that minute taking isn’t just a job. It involves a lot of responsibility. Have a happy minute-taking.